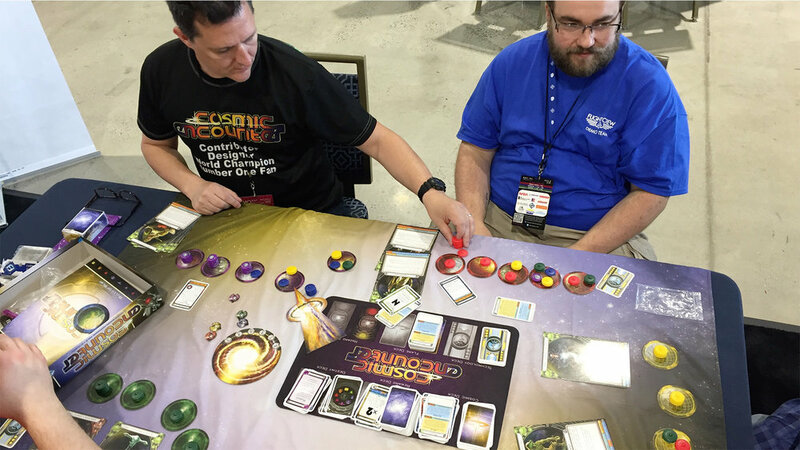 The Cosmic Encounter Experience was such a smash hit at Escape Velocity 2018, that we'll be back for 2019. 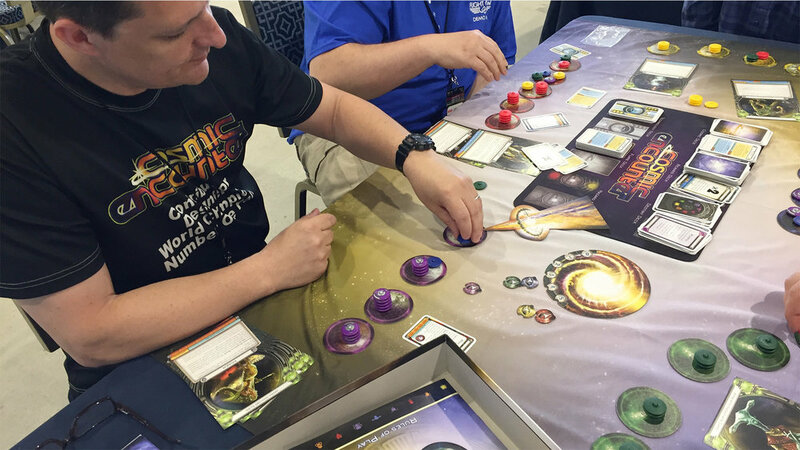 The Cosmic Encounter Experience was the brainchild of Charles Hildebrandt, Production Counsel Museum of Science Fiction & Peter Olotka one of the original designers of Cosmic Encounter. Charles originally met Peter, Bill Eberle, and Jack Kittredge at the New York Science Fiction Society's Lunacon in 1977 when Eon Products first published Cosmic. 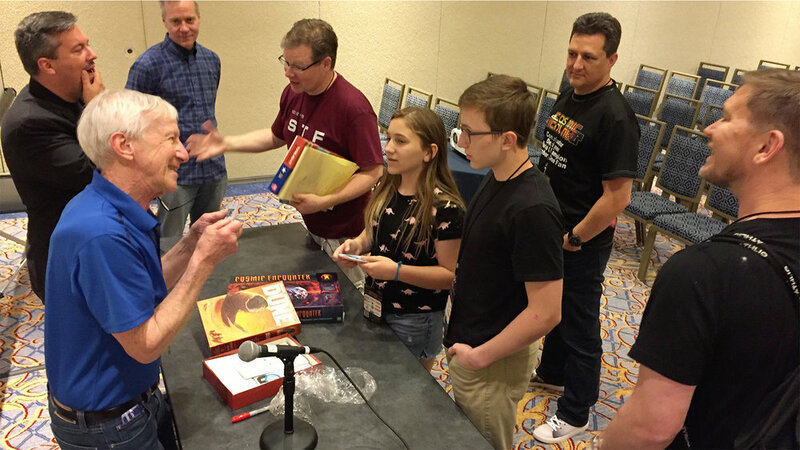 41 years later, Peter contacted him about featuring Cosmic Encounter at Escape Velocity 2018, but didn't know that Charles was a huge fan. 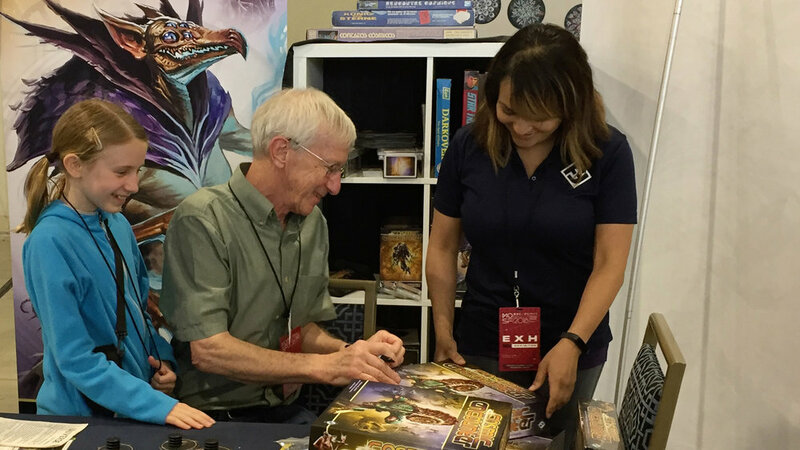 In the meantime, Fantasy Flight Games (who has been publishing Cosmic Encounter since 2008) was finishing the 42nd Anniversary Edition of CE design with Future Pastimes, and both parties thought that Escape Velocity would be an excellent venue to stage the official launch. Which leads to the question, if Cosmic was first put into production in 1977, wouldn't that make 2018 the 41st anniversary? Watch the video below to solve that mystery. Peter Olotka tells the story behind the Parker Brothers Cosmic Encounter prototype game that they put in a box in 1976. That marks the first time Cosmic was put in an official box that Peter, Bill, and Jack didn't make by hand. The sales and marketing guys took one look at it and said "Space doesn't sell." Star Wars came out a few months later. Molly Glover, board & card game producer/developer at Fantasy Flight Games delivers the official Cosmic Encounter 42nd Anniversary Edition announcement. She's joined by Peter Olotka, one of the original designers of CE. Discover Escape Velocity from Museum of Science Fiction on Vimeo. The nonprofit Museum of Science Fiction will be the world’s first comprehensive science fiction museum, covering the history of the genre across the arts and providing a narrative on its relationship to the real world. The Museum will show how science fiction continually inspires individuals, influences cultures, and impacts societies. Also serving as an educational catalyst to expand interest in the science, technology, engineering, art, and math (STEAM) areas, the Museum uses tools such as mobile applications and wifi-enabled display objects to engage and entertain. Get a full press packet here on the Museum of Science Fiction’s vision. The Museum of Science Fiction and NASA are partnering to bring Escape Velocity 2018 to Washington, DC. 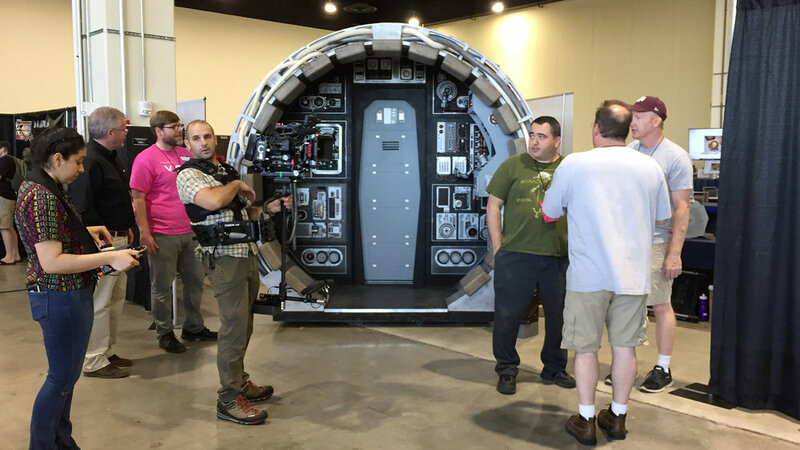 The event is a futuristic world’s fair to promote STEAM educational activities within the context of science fiction using the fun of comic cons and fascination of science and engineering festivals. Escape Velocity 2018 seeks to make a measurable positive impact to boost informal learning on the more conceptually challenging academic areas. Escape Velocity's mission is to re-invigorate the interest of our young people in science, technology, engineering, art, and math by producing and presenting the most compelling, exciting, educational, and entertaining science festival in the United States using science fiction as its primary engine. 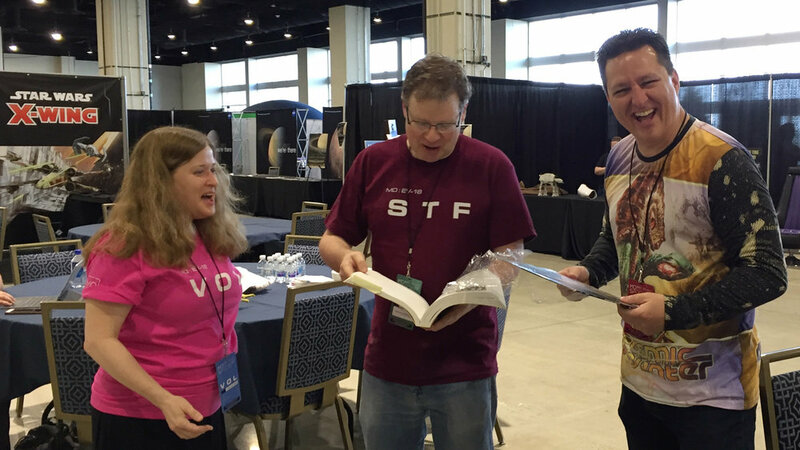 Escape Velocity will achieve orbit on May 25-27, 2018 at the Marriott Gaylord Hotel and Convention Center in National Harbor, Maryland, just outside of Washington, DC. For a full press packet on Escape Velocity, please visit our website.